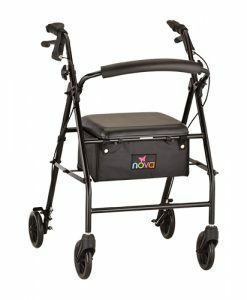 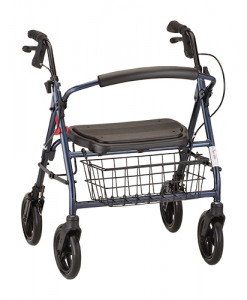 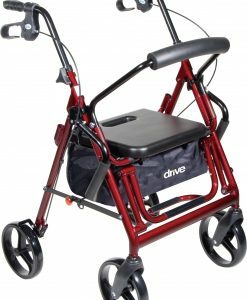 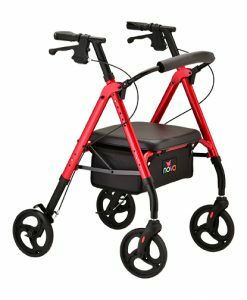 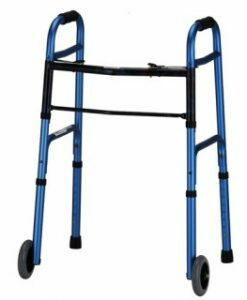 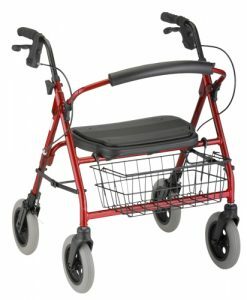 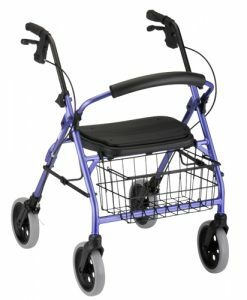 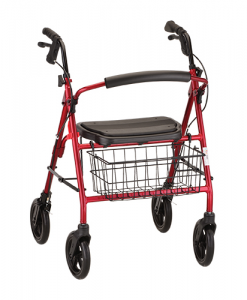 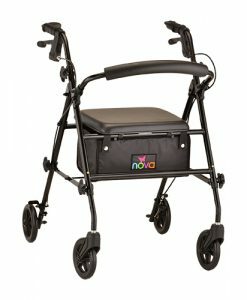 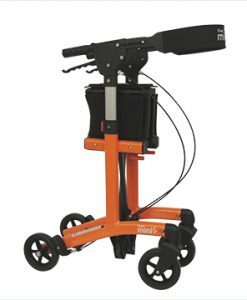 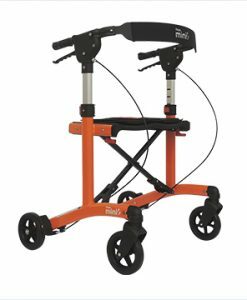 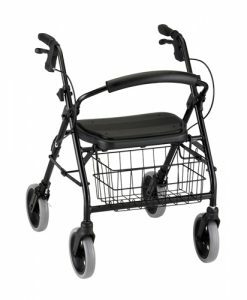 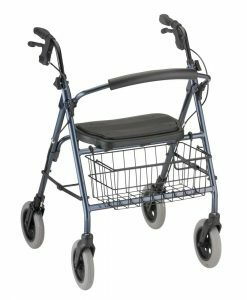 Truimph Escape Mini Rollator | A&J Mobility, Inc. 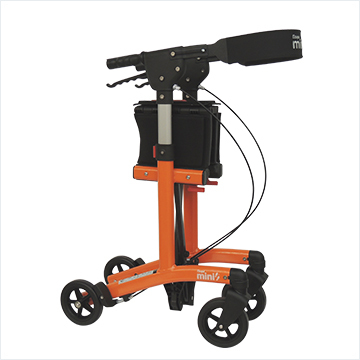 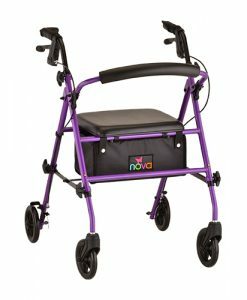 Escape mini is available in 20″ seat height and has a compact folding system that is easy to fold with a simple lift of the release handle. 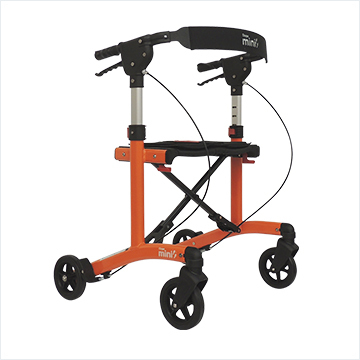 This design makes it easier to lift into the trunk of a car but, as an added benefit, it also stands when folded for easy storage when not in use.